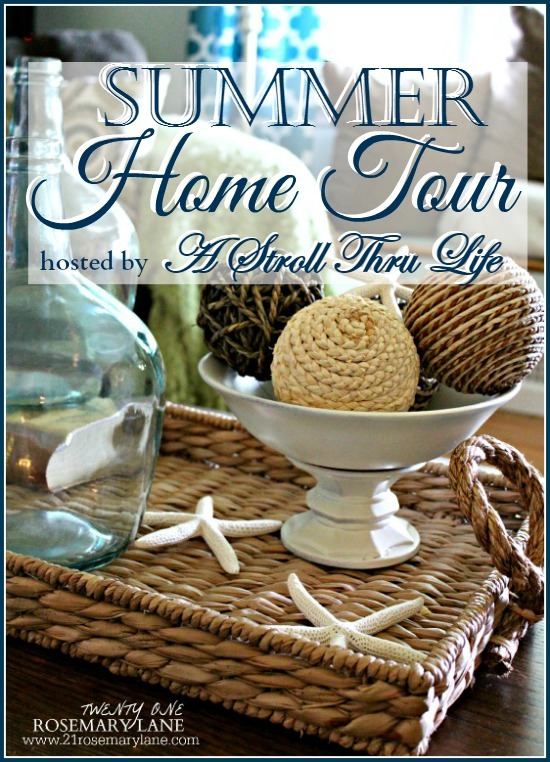 I have to tell you that I was thrilled beyond belief when my friend Marty from the beautiful blog A Stroll Thru Life, asked if 21 Rosemary Lane would like to be part of the Summer Home Tour Series she was putting together. 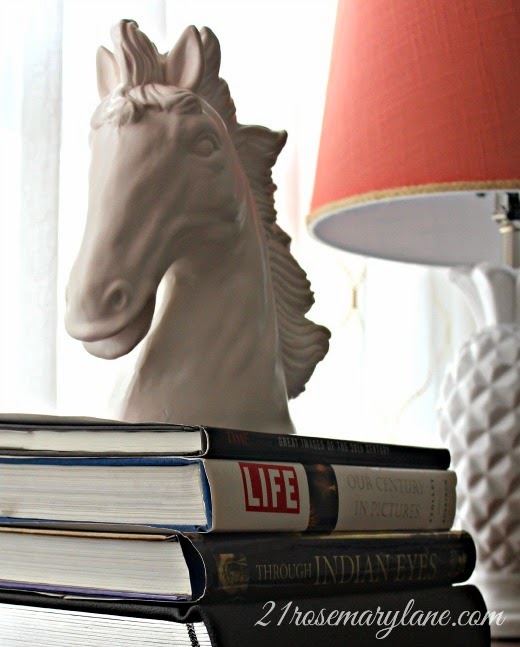 To be honest I haven't done a home tour in couple of years so I was kind of excited to put together this post for you all to enjoy! First let me tell you a little bit about our home. It is considered to be a Cape Cod style home with a rectangular floor plan and a steep Gable roof line. 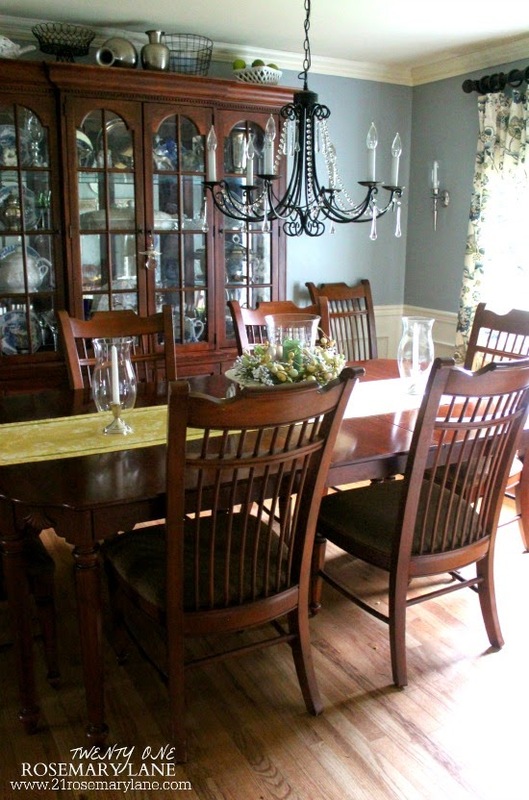 There is a large kitchen area, a living room, dining room, laundry room and a bath and a half on the first floor. On the same floor we also have a large master bedroom which we currently use as a guest bedroom, and a bonus room we converted into our office. Upstairs there are three bedrooms, one full bath and a walk-in attic. Below the main floor is a basement which runs almost the full length of the first floor. 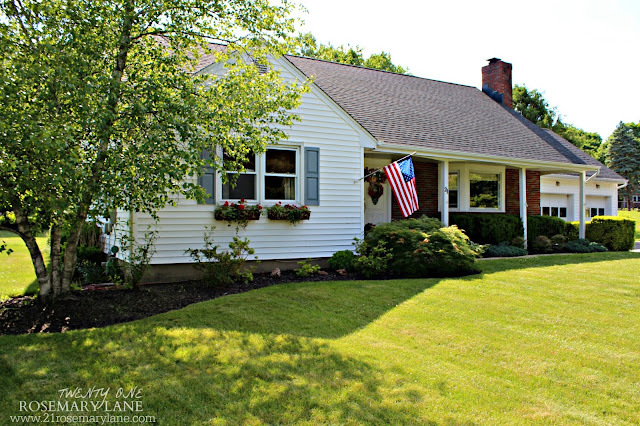 The house was built in 1974 and sits on one acre of flat land we like to call "The Curran Acre". So welcome to our home, please come on in. 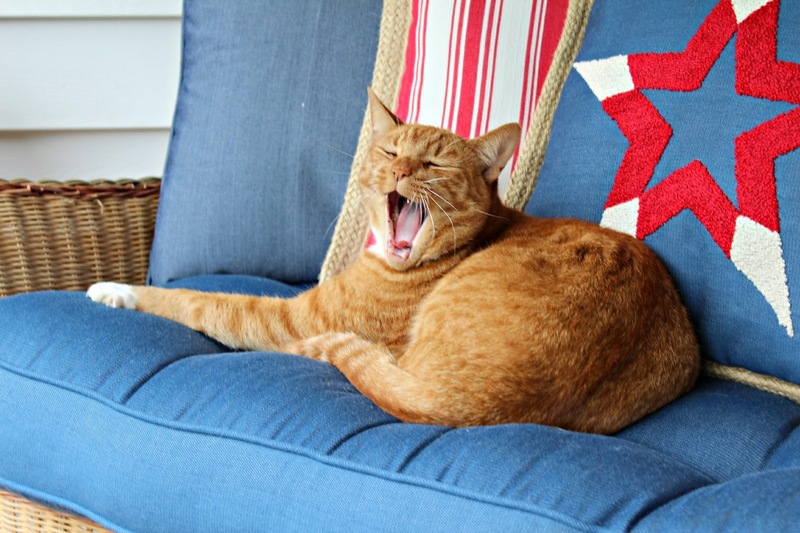 I shared a post last week on the front porch so if you would like to see more pics just click here. 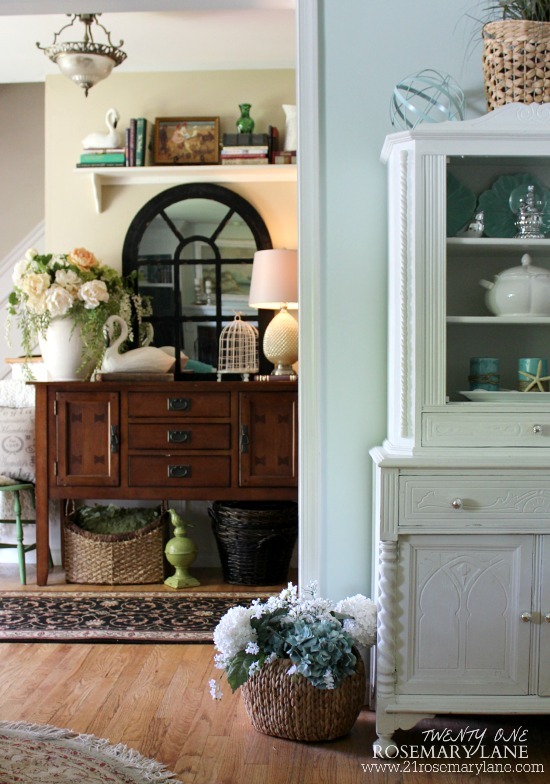 Over the winter I repainted the foyer and reconfigured the furniture arrangement. The large pitcher on the buffet is a Home Goods score from last year. I like to change the flowers in it for each season. This is my spring and summer display. 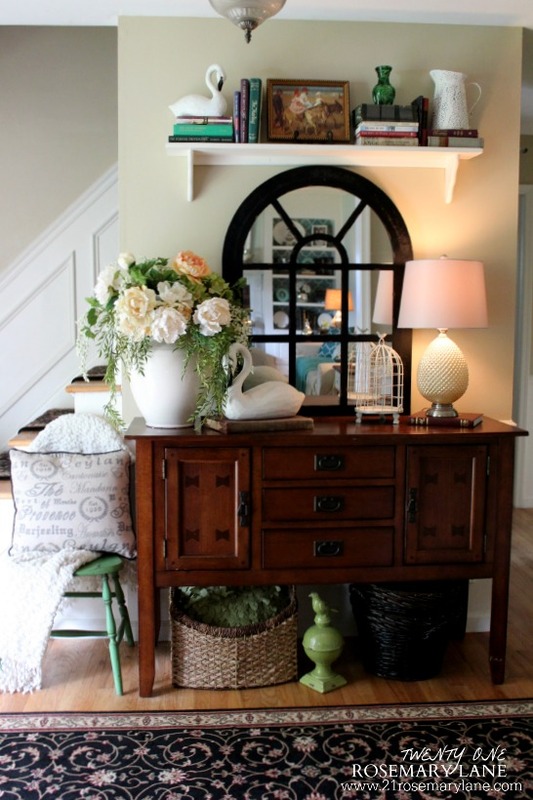 To add some architectural interest, a shelf was placed just above the arch shaped mirror. To the right of the foyer is our living room. 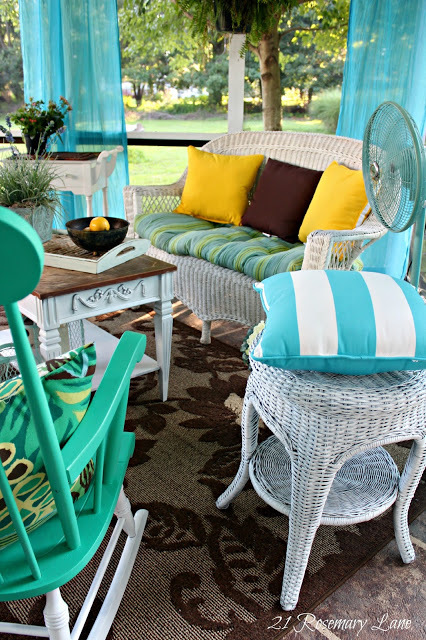 This is where you can really feel summer influencing the decor. 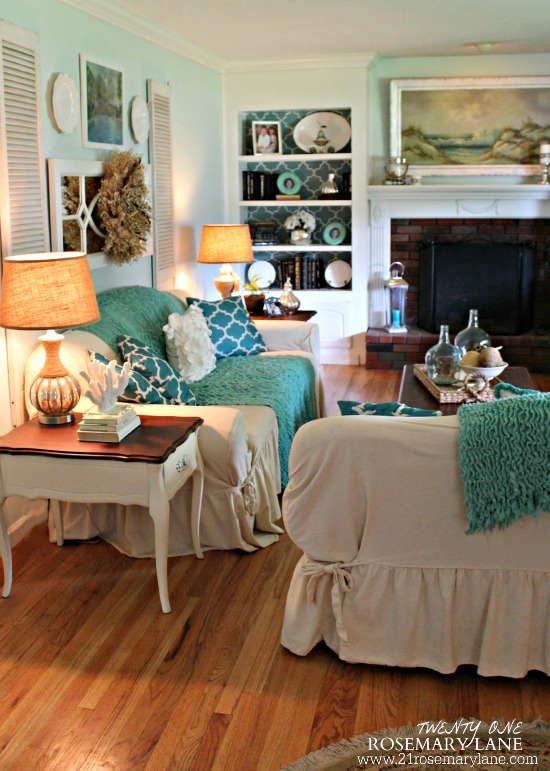 Last summer I spent a lot of time at the beach, so when I was deciding on what to do for my living room makeover I had plenty of sea and sky inspiration. I simply adore the relaxed feel of this room which happens to be the perfect vibe for how we use the space. Our living room is where we read, watch TV, do puzzles, play games, entertain company, and where you can find us almost any Friday evening of the year enjoying pizza and a movie. The gallery wall of kid photos above the piano also gets changed out with the seasons. As you can see for the summer months I filled many of the frames with pictures of Grace and Michael at the beach. 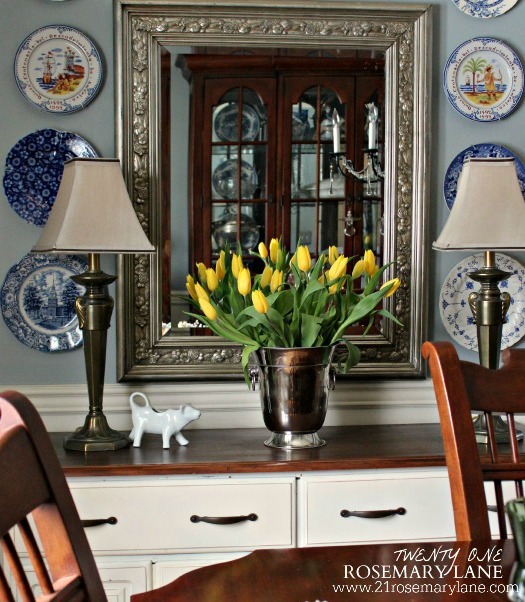 The large seascape painting over the mantel was my inspiration piece for the room. I pulled colors from the painting and used them as the room's wall color, in choosing slip covers, and for the accent color of the bookcase stenciling. This painting actually hung in Mr. Rosemary Lane's childhood home. His mother purchased the it years ago because it reminded her of where she grew up...the Jersey shore. 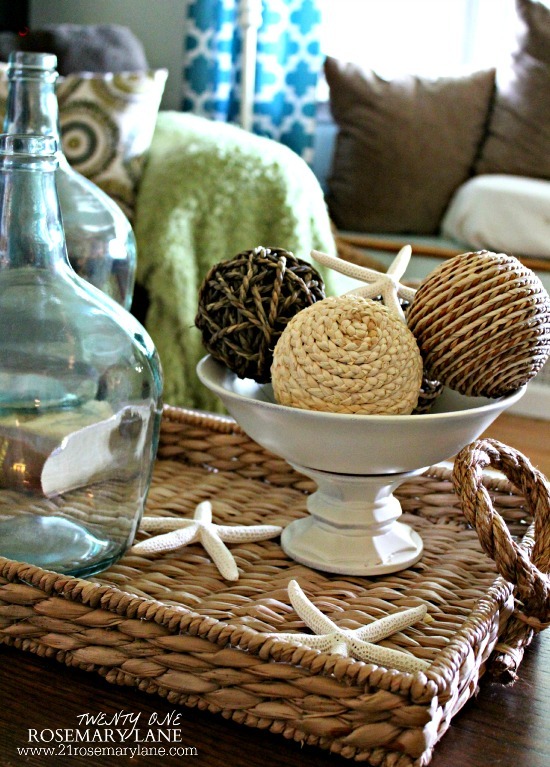 Starfish added to the coffee table vignette. Through the foyer pass the living room is our formal dining area. It is a good size room and seats about 10 comfortably for dinner. 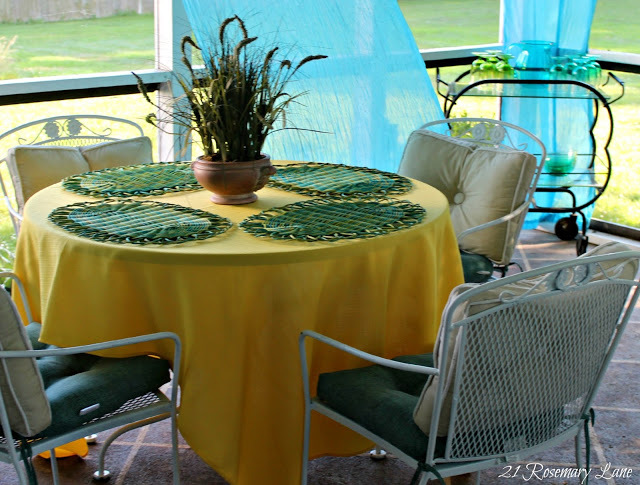 A sunny yellow runner and brightly colored flowers makes the room feel lighter and brighter for the summer months. In the guest bedroom I pulled up the heavy dark wool carpet and replaced it with a smaller lighter area carpet which had been living in the upstairs hallway. 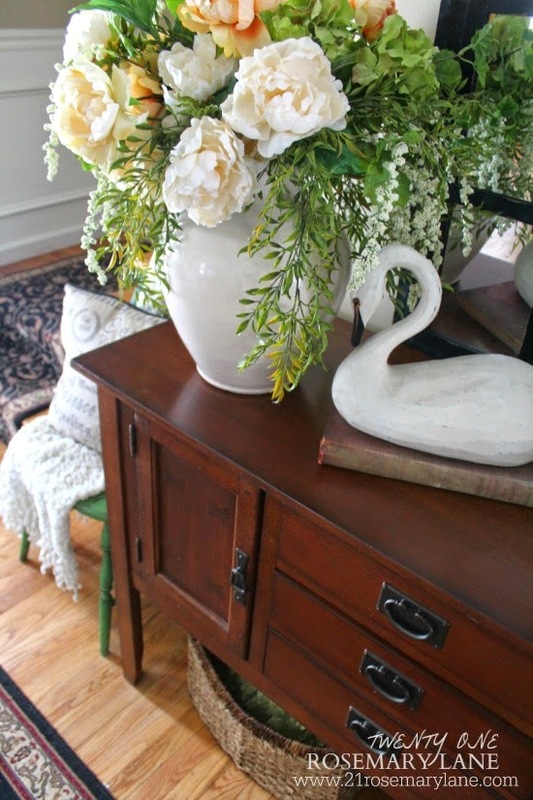 This immediately gave the room a much more airy feel. 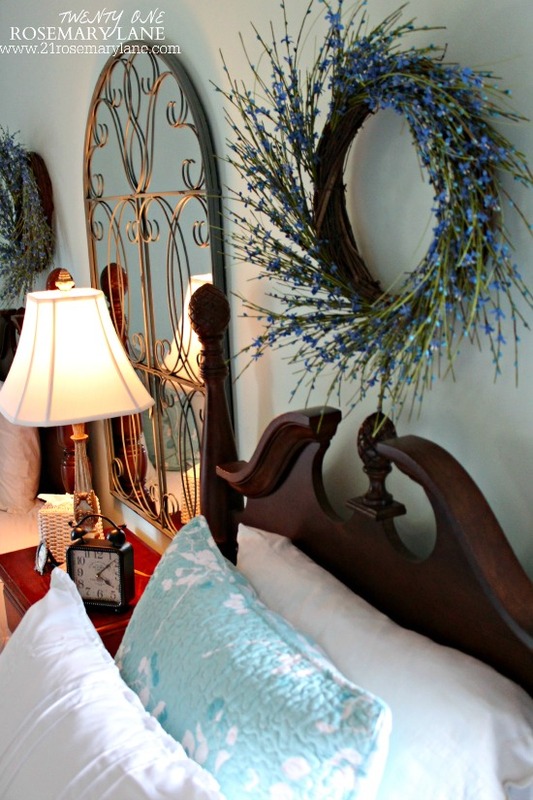 Two wreaths were place above each bed's headboard and some pretty handmade quilts are adorning the trunk at the foot of the first bed. 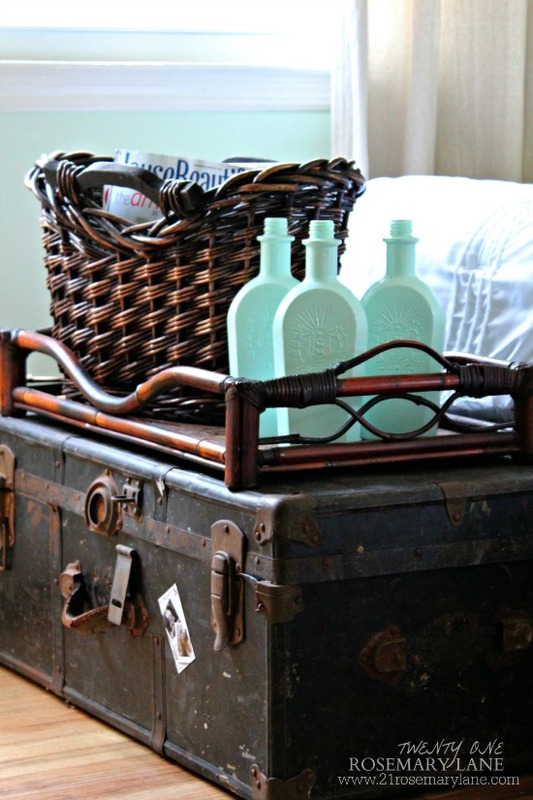 The old weathered trunk at the foot of the second bed holds a bamboo tray containing painted bottles and a pretty magazine basket. 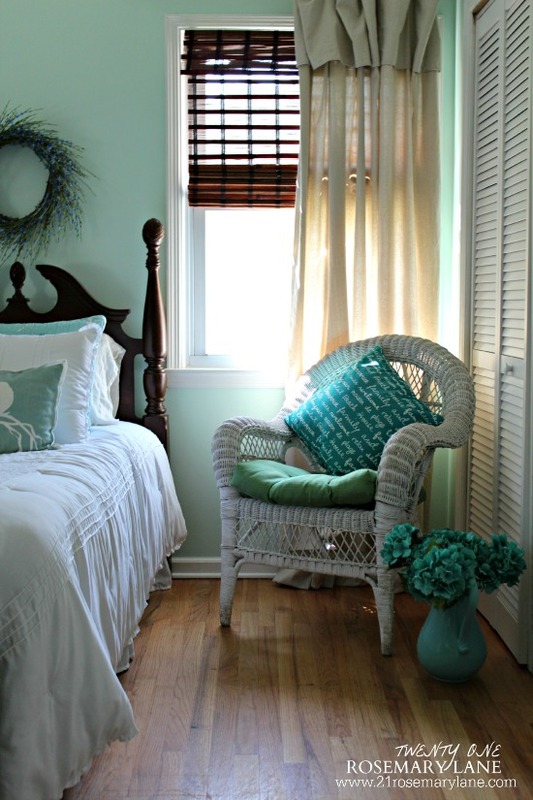 One of the wicker chairs from the back patio was brought in and placed in the corner of the room. 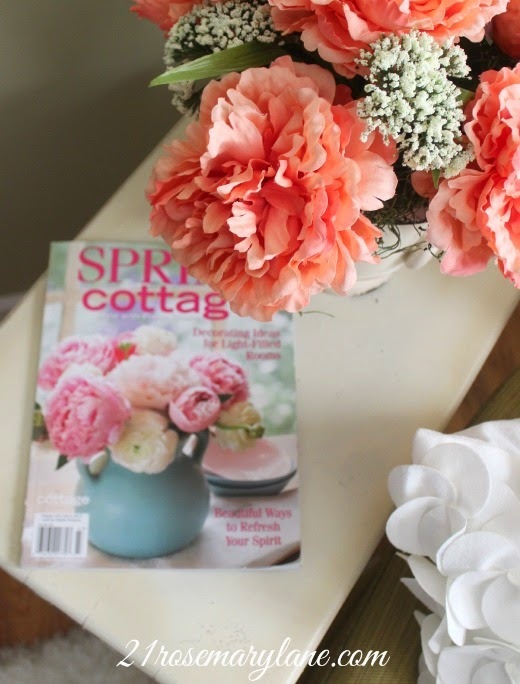 A coordinating pillow and cushion, plus a picher of flowers brings a fresh summer look to this space. Upstairs we have 3 bedrooms. The first on the right is the one we use as the master. 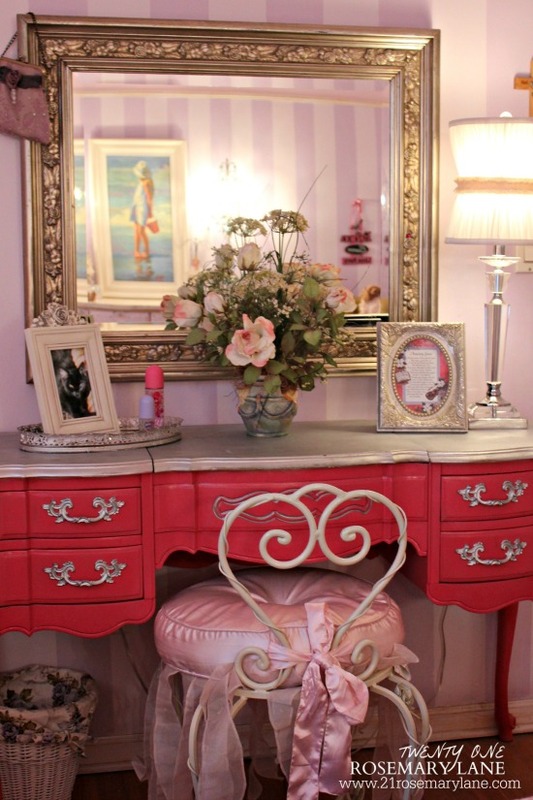 To me it is the happiest room in the house because of the color scheme. 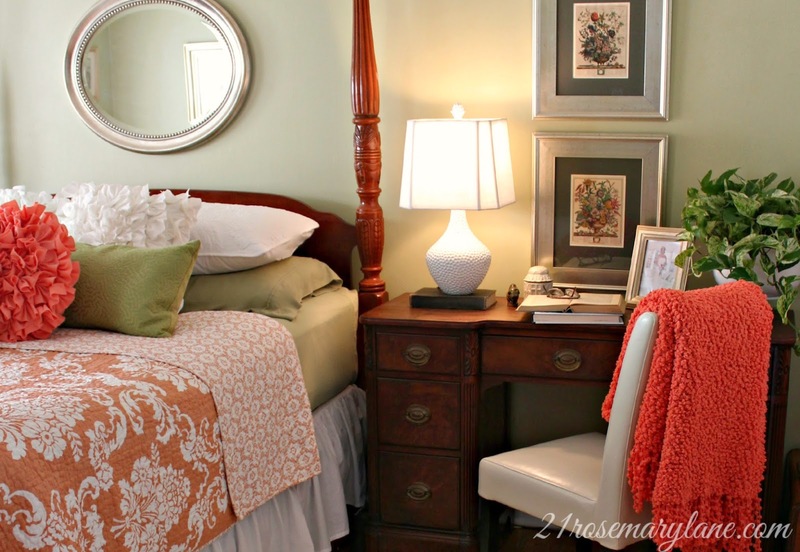 The calm green and pretty orange always makes this room feel like a lovely summer garden even in the dead of winter. The kids rooms are across the hall. Now I do have to apologize for these pictures since they are actually a couple years old. 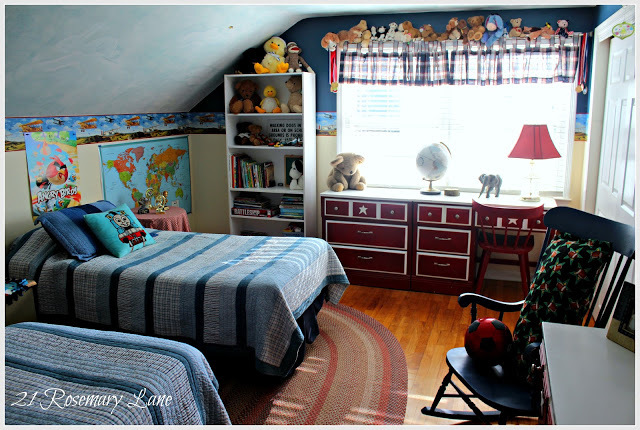 It seems as we get into these tween and teen years it has become an ongoing battle to get our two little lambs to keep their rooms neat and clean. Grace's room is first up. 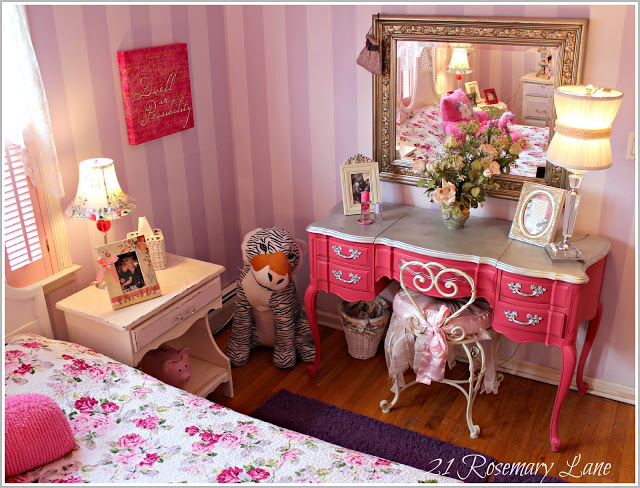 When she was 5 I painted the two toned purple strips on the wall and made the ceiling pink. Now she is coming up on 13 and her room is probably due for another makeover. The vintage vanity was actually a $5 yard sale find. I sanded it down and painted it in a hot pink color called watermelon. Michael's room is on the same side of the hallway as Grace's room, but since it is more towards the front of the house the ceiling has a rather large slope due to the steep Gable roof. 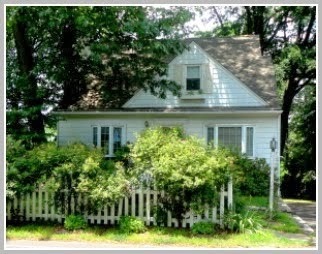 This is pretty typical of cape cod style homes. The furniture in this room was a bedroom set from Sears which belonged me and my sister Kim when we were little girls. 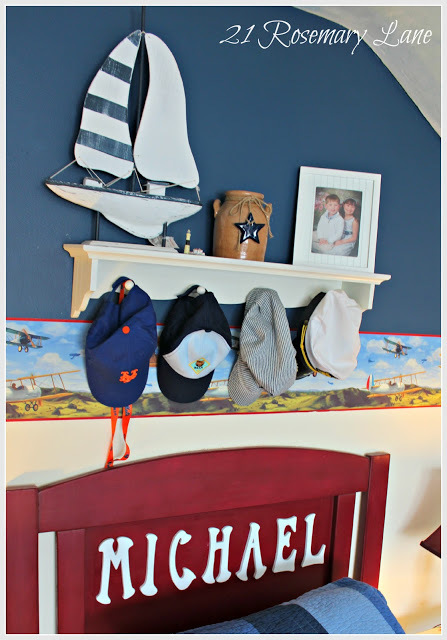 It was spray painted red and a cute white star was added to the middle panel of the three paneled drawers. 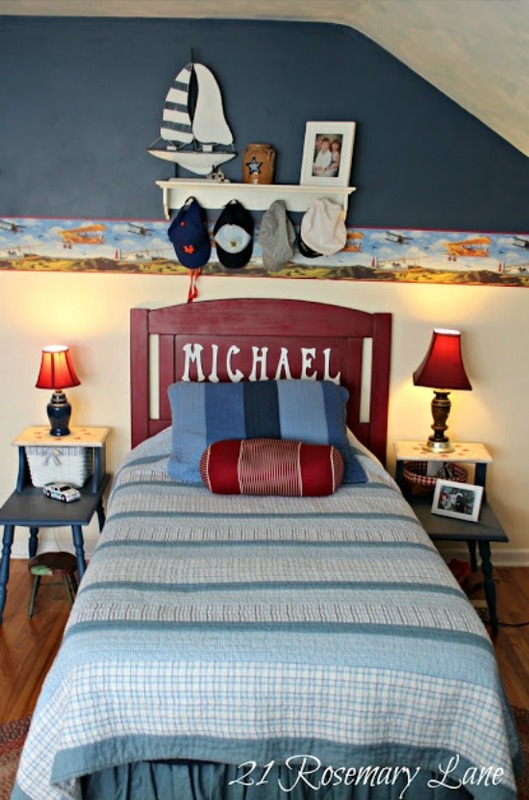 At the time I changed this room from the nursery to a little boy's room Michael was also 5. 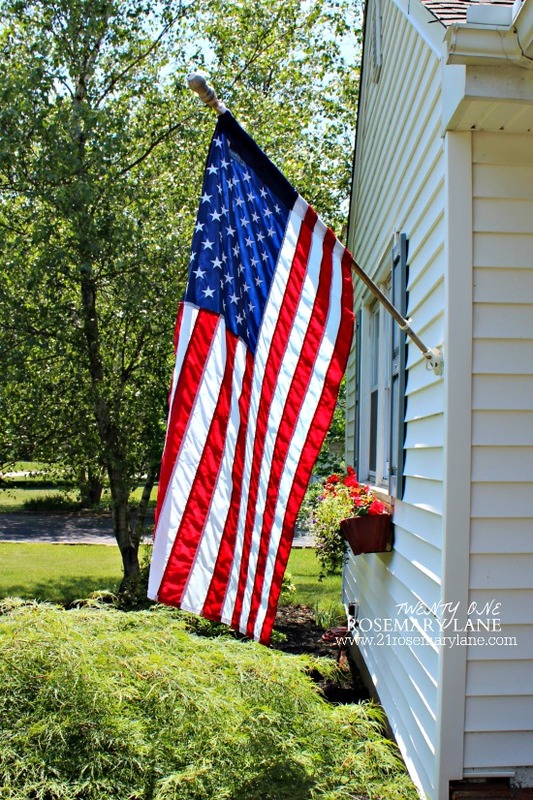 He loved anything to do with travel so I gave him a red white and blue color scheme with a touch of Americana. I picked up two old 2-tiered end tables at a yard sale for only $10, and then gave them a whole new look to go with the decor of Michael's room. The headboard I snagged at ReStore for $8. It was painted red and Michael's name was added to it. But alas our children do grow up and outgrow some of the things they loved so much when they were little. I think Michael is ready for a big boy living space. Maybe next year! Off of the kitchen we have an 18' X 18' screened in back patio. Currently we have the screens all pulled off and are in the process of replacing them. We are also painting the ceiling, wood beams and the cement floor. To date this space has been totally furnished with hand-me-down items, yard sale finds and freebies on the side of the road. Here is how it has looked over the past 2 years. I think my most notable freebie find happened when Kim and I were driving down a road near her home in Pennsylvania, and we saw this white wicker settee just hanging out at the end of someone's driveway. Two people were sitting on their front porch so Kim asked if the wicker piece was for the taking. They nodded yes and we immediately scooped it up and put in the back of my van. Score! And that wraps up my summer home tour. I hope you enjoyed it. 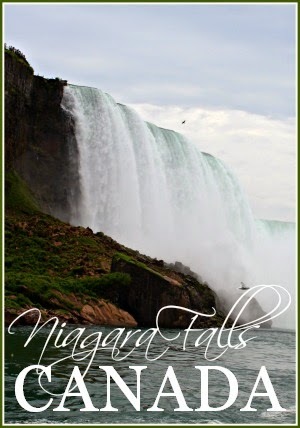 I look forward to sharing with you the rest of our home as I complete the decorating projects going on right now. If you like to see more you can follow me on Facebook and Twitter where I will show you lots of sneak peaks. And since you were kind enough to stop by today for the tour, here is a sneak peak of my office makeover. Again I want to say thank you to Marty for pulling this stunning series together, and for including 21 Rosemary Lane in this amazing group of talented bloggers. 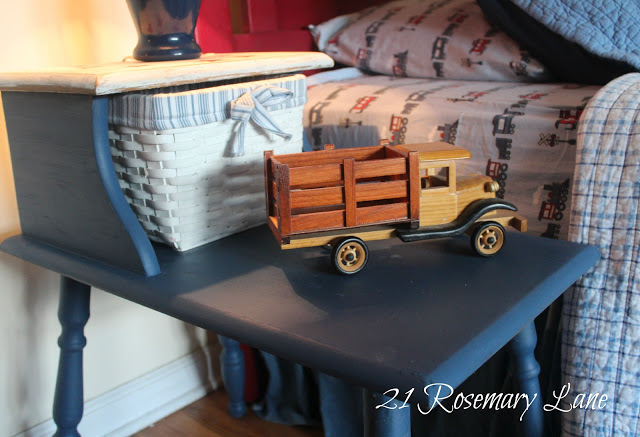 Next up on the tour is Alicia from the blog Thrifty and Chic. 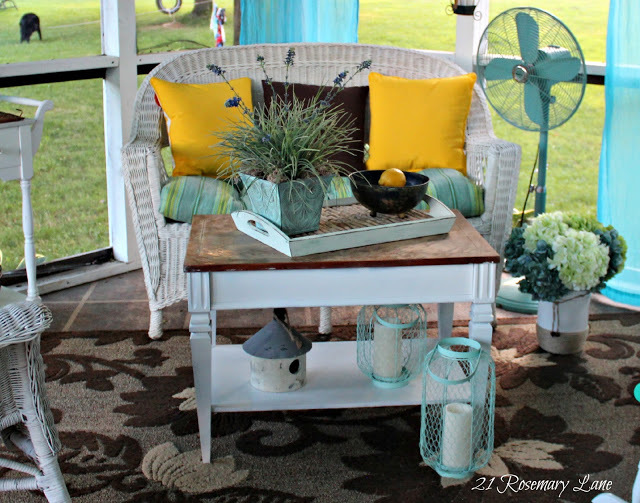 Be sure to hop on over and check all her beautiful summer decor. Here is the tour schedule for the week! An entire week of inspiration that you just won't want to miss! I just love your home, every room looks beautiful!! Your master is gorgeous, I pinned it. This will be a fabulous tour, thanks for showing us around!!! Barbara, your home looks just beautiful! I've enjoyed watching the transformation of some of your rooms. The colors are all so pretty and your entry way just gets prettier and prettier. Love your home, it is so welcoming and inviting. 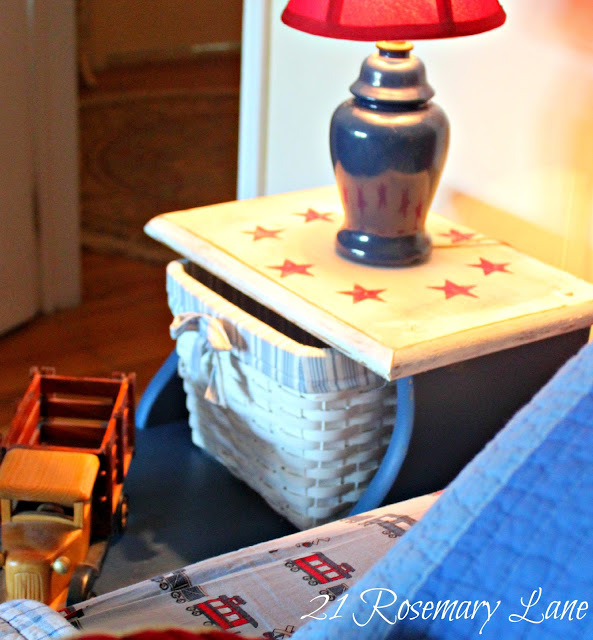 You have such a special knack for repurposing things and giving them a special place to shine. Simply Gorgeous. 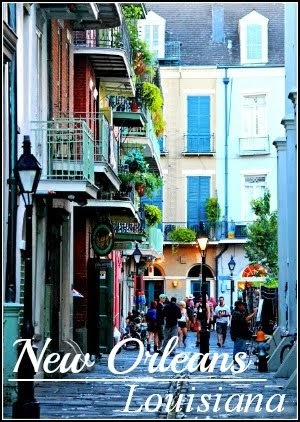 Loved the beautiful tour of your home! What a true delight it was to tour your home. 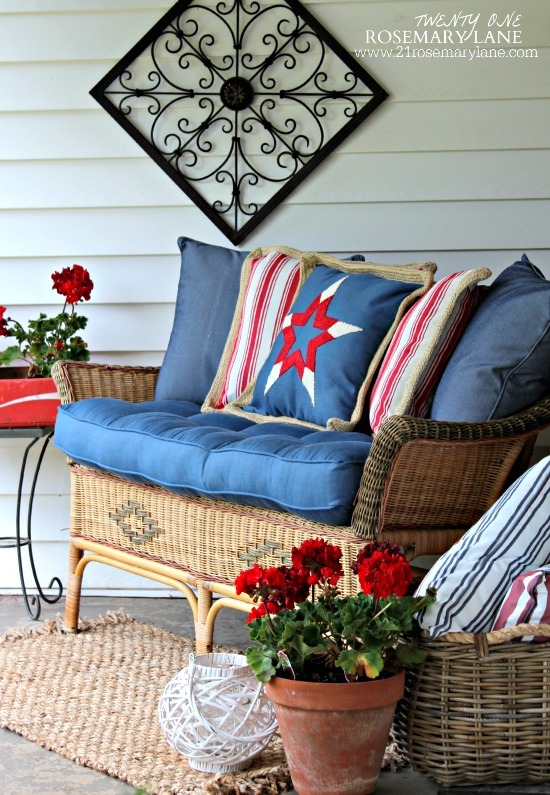 I adore the patriotic porch and seaside living room. I will be featuring a few inspiring images on my blog tomorrow. Thank you for a grand tour! Luv your easy relaxed style Barbara. Makes me want to climb in a comfy sofa and stay awhile. I remember when you unveiled your master bedroom. I fell in luv with the bright orange and designed ceiling! Gorgeous tour! 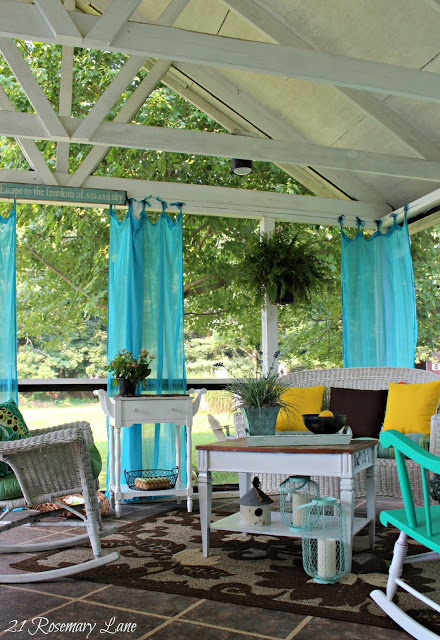 Your porch is so perfect! Barbara, Everything is soooo beautiful ! 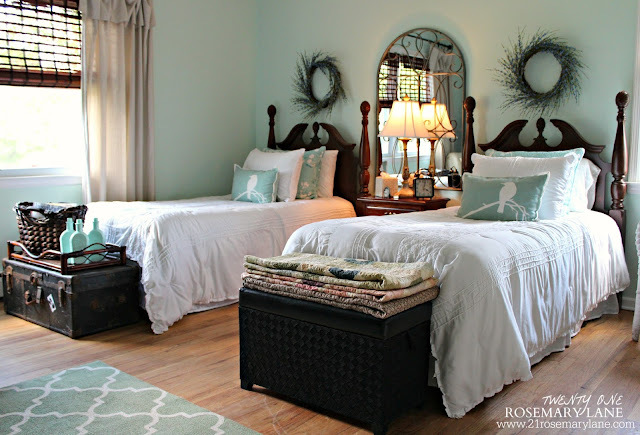 I love your turquoise living room and the cute children's room. Your porch is my favorite. Your home is so warm and inviting! 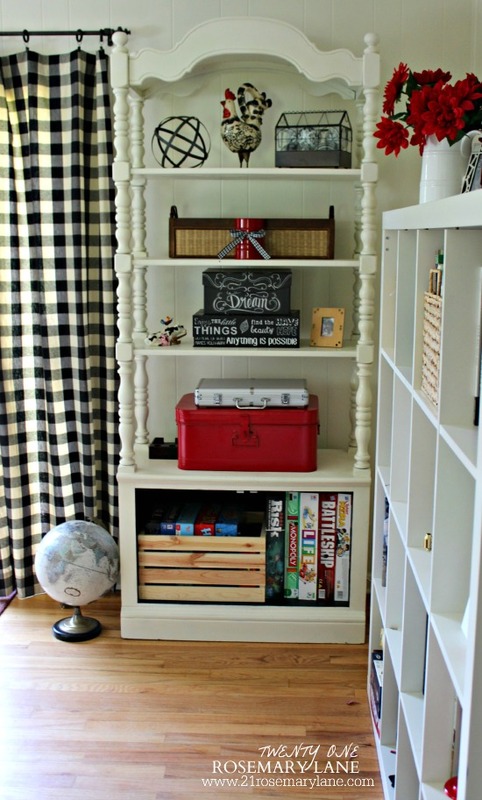 I love all of the special details, and I think you really have a good eye for using space well without overdoing. I love how you have hung shelves, art, etc. high on the walls to draw the eye upward. Beautiful rooms! Your living room makes me feel like I'm a the beach, Barbara!! It's just beautiful and I love your happy gallery wall! 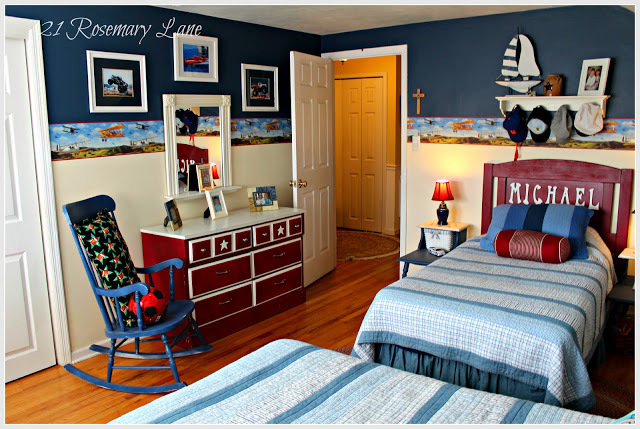 :) Every room looks like such a thoughtful labor of love! So nice to meet you through the tour! I love your style! 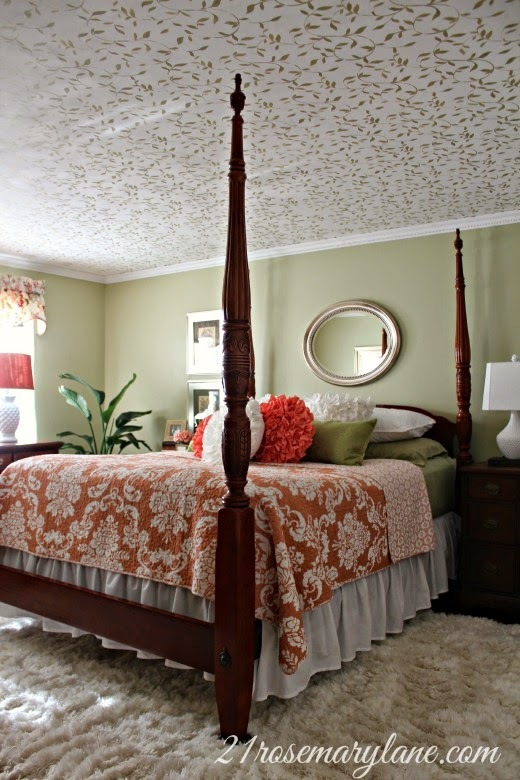 It's so perfectly seaside.And the design on your master bedroom ceiling is amazing. Just beautiful! Loved the tour my friend...everything looks so pretty!! Your home is amazing! 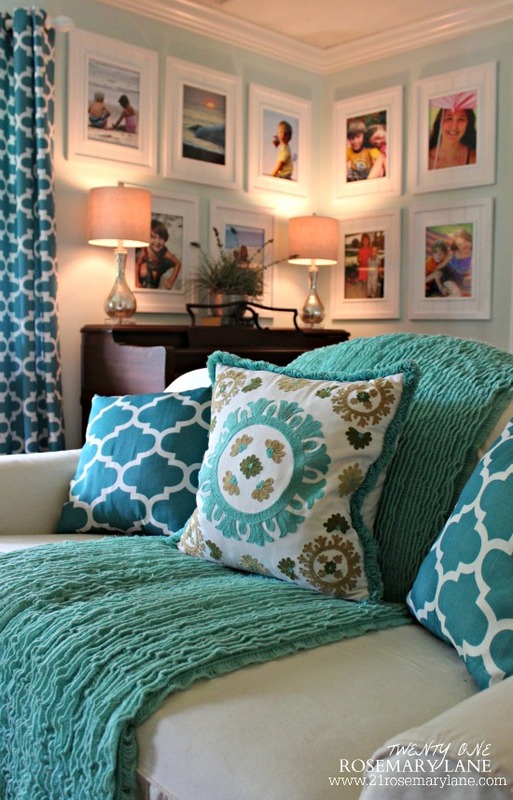 Love the picture frames you used on your gallery wall. I want to do a family tree gallery wall and would love to know where you found your frames. Your bedroom leaves me speachless! 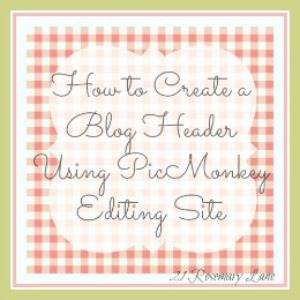 Just started reading your blog and look forward to your next post. What a beautiful tour! 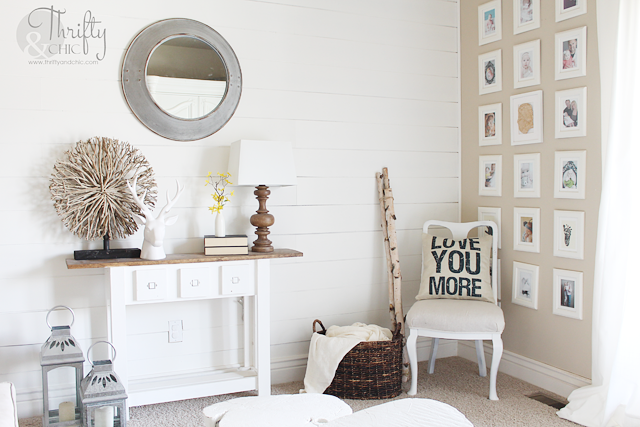 Love that gallery wall! Oh Barbara, you home is very lovely - great tour. Thanks so much for sharing this. Your home is gorgeous! 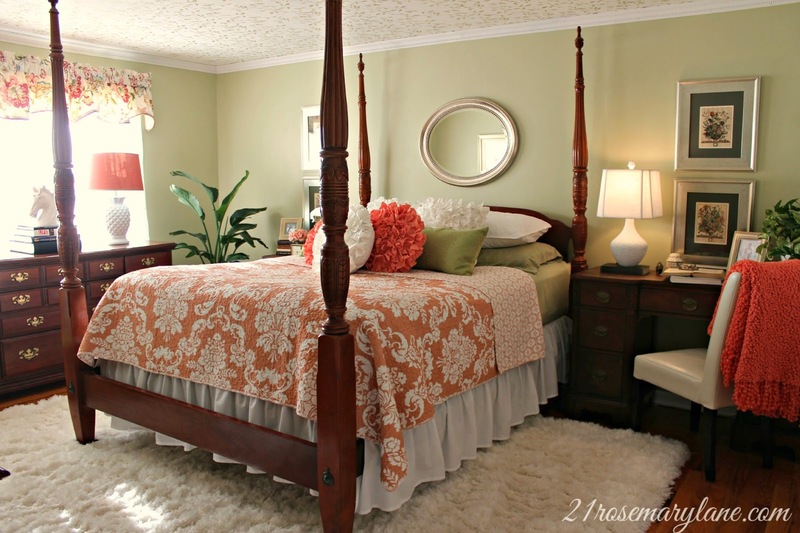 I love the paint colors you've chosen throughout, so fresh and new. 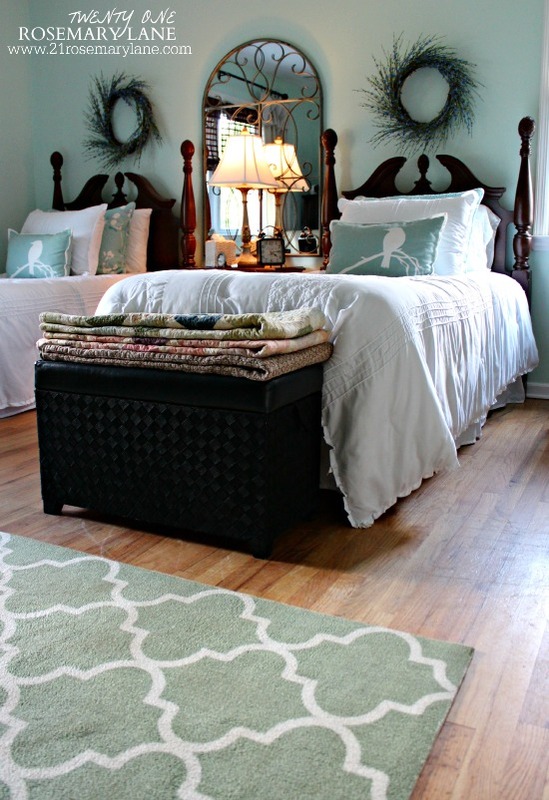 The rugs are all perfect in each room in which they are used. Your accessories are lovely. Thanks for sharing your home with us. Your home is lovely! My favorite thing is your gallery wall with the adorable beach photos! 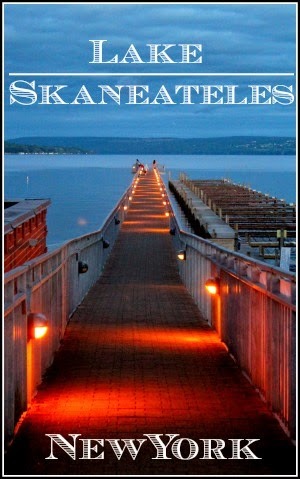 What a great idea to change out the photos seasonally! Thanks for the inspiration! It's been fun being on the summer tour with you! I love the ceiling in your bedroom! That is a beautiful space! Thank you for inviting me into your lovely home today as part of the Summer Homes Tour, dear one!!! 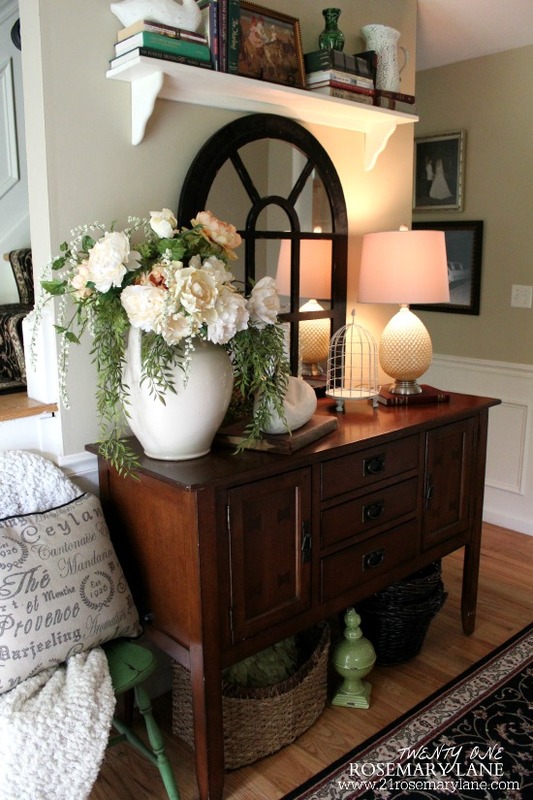 Your foyer is absolutely stunning!!! 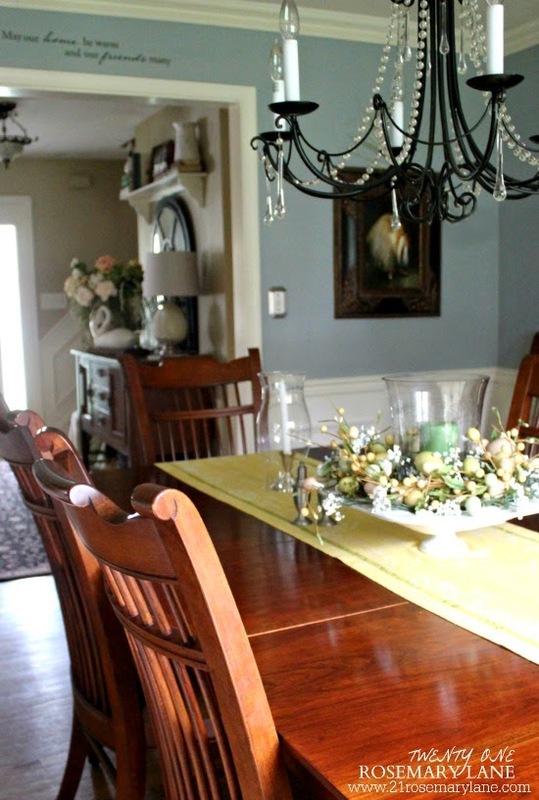 I adore your formal dining room with the PoPs of yellow for the Season!!! 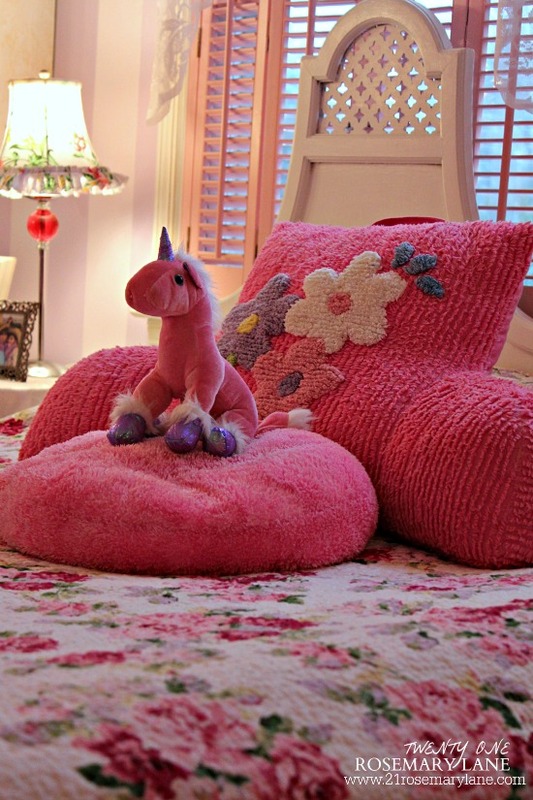 Your children's rooms are quite charming!!! Pretty, pretty, pretty! 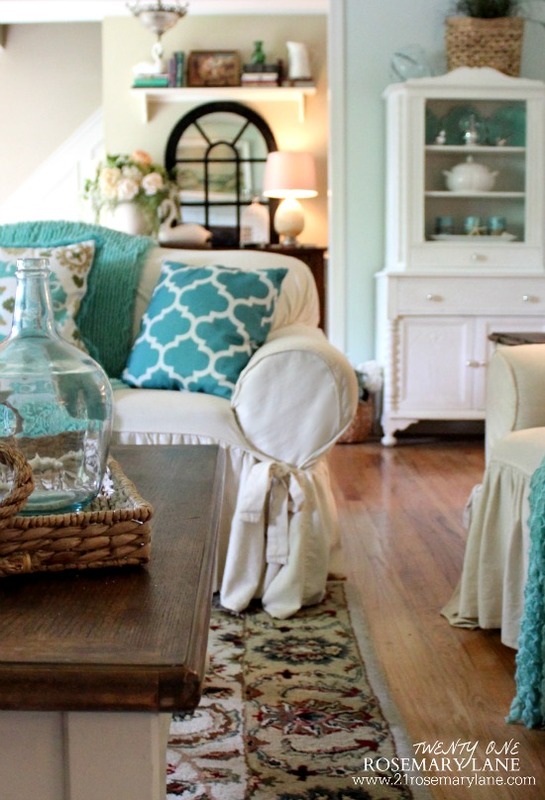 I especially like your living room slipcovers -- I can never make mine look right! Your home is lovely! It looks so welcoming and relaxing. 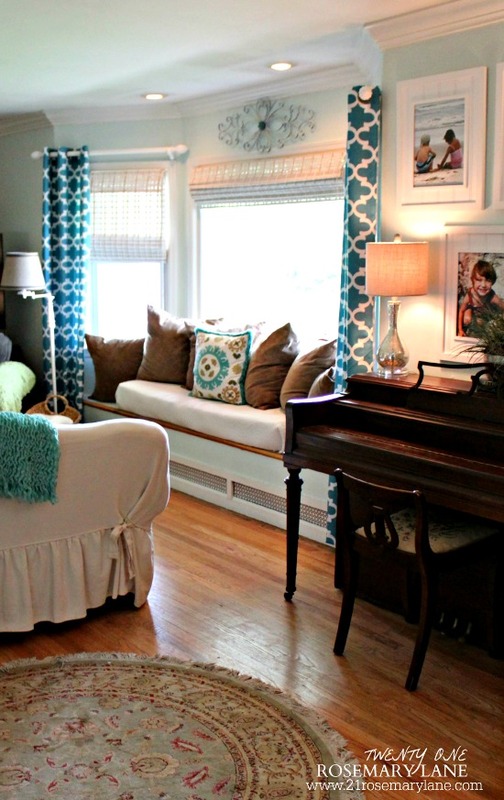 I love the curtains and throw pillows in the living room - and how they tie in with the bookshelves! I loved your summer home tour! 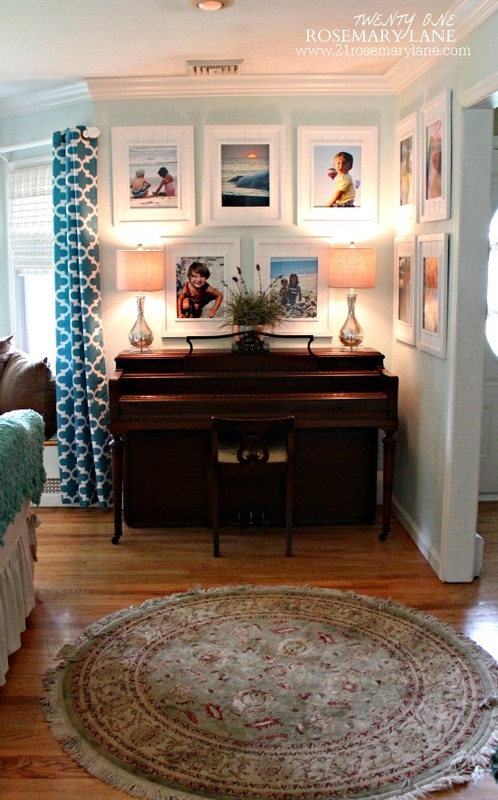 I love your corner gallery wall over the piano, and all of the happy colors you have going on! So pretty! 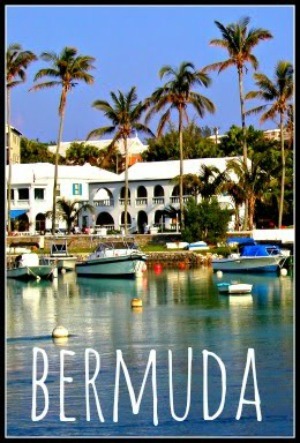 Barbara, your home is oozing with charm, from the architecture to the beautiful colors and special details. You've made this home warm and inviting. Love the idea of switching out the photos for the season. Thanks for the tour. It was delightful!!! Your home is amazing! 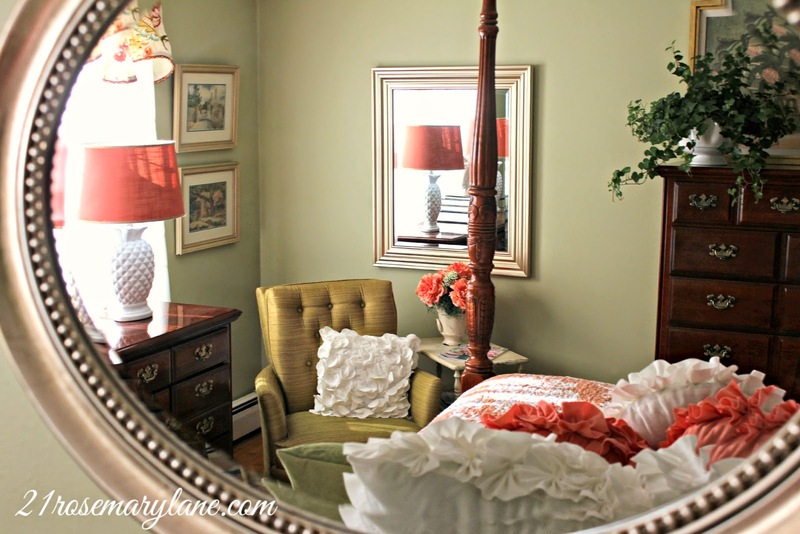 I love how each and every room is colorful but not overwhelmed by color and Oh so cozy and inviting. You are one talented lady. What a beautiful home - so charming and cozy! Thank you for sharing!